Oh, the world of stock photos. There is a plethora of beautiful stock imagery out there, readily accessible, and in many cases free to download. But, many times it may be unclear on what stock photography can do for your brand, business or blog. So, today I'm going to show you 3 ways in which you can use stock photos effectively and easily to elevate and promote your brand/business. 1) Use on your website. Let's face it - you can have a beautiful website, but if you have crappy images there, it's not going to paint a very pretty picture of what it is you have to offer. Poor images can make products look cheap or outdated, sending the wrong message to your ideal audience. Below is an example of how stock imagery can be incorporated into a website. Here I used my own website to show you how an image from my Pink Collection can easily be added to a large banner image. 2) Using Canva to generate inspirational graphics! In my Instagram Tiles Travel Collection, there are a number of images that would be perfect to use for inspirational or motivational posts. And whats great about using Canva is its FREE and you can easily add graphics and text to an image. 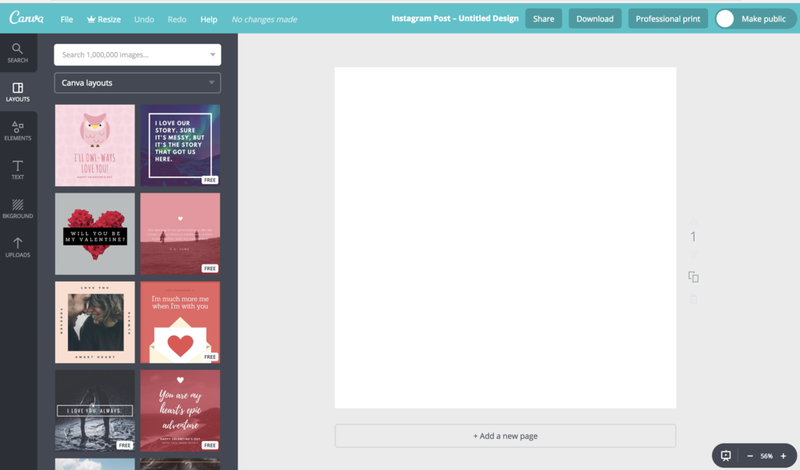 Below is an example on how I used Canva on one of the images included in my Intagram Tiles Collection. First you will go to Canva and create an account if you haven't already. Then you will select an Instagram Graphic layout. From here you be brought to a screen like the one shown below. You will then click on the bottom left on Uploads. There you will see the option to upload your own images. Click on that to upload one of your stock photos. After the photo is uploaded - you can add additional text and graphics. I like to keep it simple so I went straight to the Text option on the left hand side of the screen. I picked a font I liked and wrote out an inspirational quote. 3) Mockups. So the use of mockups generally requires a bit more of extra knowledge with editing software - such as Photoshop, but can be super helpful in creating additional content for your business or brand. Using the iPad mockup found in my shop, I am able to transpose an image of my website onto the iPad. This can be useful for businesses looking to promote a new event, website, marketing campaign, etc. My mockups are also created using Smart Objects so they are very easy to use.